Return to Kanto! Now, cuter than ever. Hype for the new Pokémon games which released worldwide for Nintendo Switch on November 16, 2018! 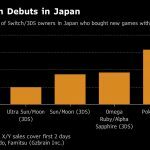 Pokémon Let’s Go sold less than other main series Pokémon titles, but it’s still early days and with a smaller install base. 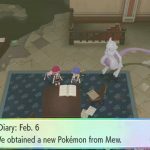 Pokémon Let's Go Pikachu and Eevee Dex: Locations and more! Iiiit's the Cinnabar Island QUIZ SHOW! What pokemon would YOU have as your partner? would it be too easy if i brought over pokemon caught or traded? Do you plan to complete the dex? Pokemon Let's Go Eevee/Pikachu LGPE Natures, Moves, Reference Guide! Best moments you've had while playing? Longest Time Without A Shiny Encounter While Hunting? Need Help with leveling up. New Forums Ad Survey Request Discord E-Mail Activation How to catch 50 pokemon fast for Fuchsia gym? Have you guys collected any titles yet? Would you like a sequel for Johto? 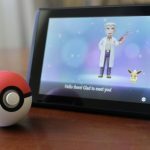 Is let’s go pikachu and let’s go eevee overrated? Have you tried the two player mode? What is your current team? How did you use your partner Eevee? Factory resetting Switch, Mew kept? Best way to level grind? What features would you like to see return to future games? Now the hype has died down, what are your thoughts on this game? Catch combo affect shiny mew chance? Has anyone every thought of modding Pikachu and Eevee for Beta Pokemon that got cutout from Gen 1? 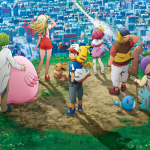 Misty's rematch pokemon foreshadow for the anime? Do small pokemon actually have smaller models in battle?